Every project is built on a solid foundation and that’s where primers come in as they prepare the surface to be painted. Like paints, they have a variety of compositions including latex primers, oil-based primers and shellac-based primers. 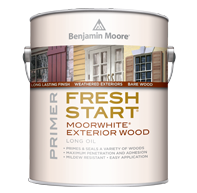 Many primers specialize in the surfaces they’re intended for from wood and concrete to metal and drywall. Other primers specialize in problems they’re trying to solve such as stain blocking, surface sealing, problem surfaces, and exposure to the elements. Confused on which to use? Your local PaintPlaceNY has the experts on staff to help you with your project! Aqualock is a multipurpose, 100% acrylic, water-based primer/sealer that provides outstanding everyday stain blocking on a variety of surfaces. It adheres to interior and exterior surfaces and can be top-coated with latex or oil-based coatings. Block Out® Interior Primer is a modified synthetic primer-sealer carried in a special solvent that dries quickly and is effective over many different stains, including: water, tannin, smoke, rust, pencil, ink, nicotine, and coffee. 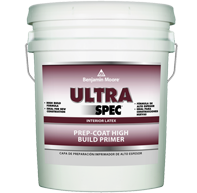 Block Out primes, seals, and protects and can be used on bare or previously painted surfaces; interior drywall, plaster, wood, or masonry; and exterior masonry surfaces. 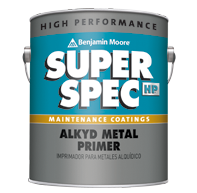 Can be used as a spot primer for exterior wood shingles/composition siding. Prime Lock Plus is a fast-drying alkyd resin coating that primes and seals plaster, wood, drywall and previously painted or varnished surfaces. It ensures the paint topcoat has consistent sheen and appearance (excellent enamel holdout), seals even the toughest stains without raising the wood grain, and can be top-coated with any latex or alkyd finish coat. Stix Waterborne Bonding Primer is a premium-quality, acrylic-urethane primer/sealer with unparalleled adhesion to the most challenging surfaces, including glossy tile, PVC, vinyl, plastic, glass, glazed block, glossy paint, pre-coated siding, fiberglass and galvanized metals. 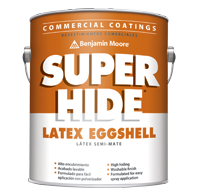 Super Hide Paint is a line of products specially formulated to meet the demands of the professional or cost conscious user. 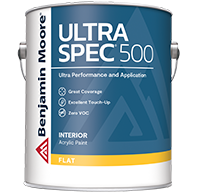 Zero-VOC Ultra Spec 500 is a professional-quality interior coating designed to meet the needs of professional painting contractors. 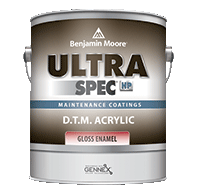 Ultra Spec® HP D.T.M. Acrylic Enamels provide excellent rust inhibition for superior corrosion control and protection for metal substrates. 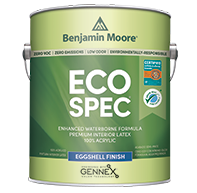 Eco Spec WB is an enhanced waterborne coating that is tinted with Benjamin Moore's proprietary Gennex zero VOC colorant system. 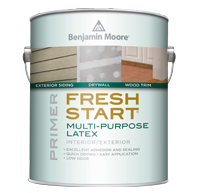 A variety of interior primers specially for different substrates and purposes. Mad Dog paint products are mad for painters by painters. They design and manufacture the most durable, problem-solving acrylic, bonding primers. Their products grip like grim death to most substrates and remain permanently flexible and permanently breathable, providing unprecedented durability and longevity for your project. Texcrete Direct-to-Concrete Waterproofer is a VOC-compliant waterproofing coating that can be applied directly to both cured and uncured high-pH concrete. Available in a range of textures, it requires neither primer no filter when applied to smooth masonry surfaces. 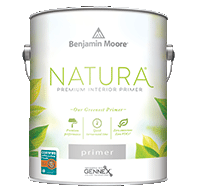 Benjamin Moore offers a broad range of Super Spec HP primers to ensure the best possible results for whatever finish coat you choose. B-I-N Advanced Synthetic Shellac Primer is a synthetic shellac-based primer sealer that provides excellent stain blocking for whole-surface interior priming and exterior spot priming. It combines fast dry time, low odor, excellent hide and stain blocking for new construction, remodeling and fire and water restoration. Lock down porous and crumbling surfaces with Gardz Problem Surface Sealer. 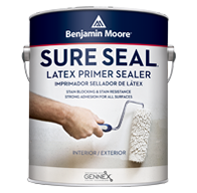 This low-odor, water-based formula dries to a clear, matte finish, creating a hard, paintable seal over damaged drywall, adhesive residues and other chalky surfaces. Since 1984, Shieldz Wallcovering Primer has helped make hanging – and removing – wallpaper easier. It creates the perfect surface for wallpapering any surface, with any adhesive under or over any type of wallpaper.